"Doctor Who" fans know how important it is to take bananas to a party, and the value of coincidence. And of course, while you're around weeping angels, don't you dare blink. It's been more than 50 years of cultural touchstones for Doctor Who, which has been billed as the long-running science fiction television series ever. The show follows the adventures of the Doctor and his companions on their journeys through space and time. It ran in some form nearly every year between 1963 and 1990, then had a handful of special episodes before resuming as a yearly series in 2005. The latest season began in September, with Doctor Who getting its own LEGO set in December. A MONTHLY BOX OF GEEK & GAMER GEAR This month's crate has an exclusive t-shirt and an exclusive Funko POP! There are two more exclusives, too. It's definitely a good time to be a Loot Crate Subscriber! "Whoever came up with the [resurrection] idea was a genius," said Cavan Scott, a Bristol, United Kingdom-based author. To Who fans, Scott is best known as the co-writer of "Doctor Who: Who-ology" (BBC Books, 2013); he is now writing a comic series based on the Ninth Doctor. The arrival of a new doctor is always a big event among Who fans, Scott told Space.com. Before the last reboot, for example, some said that the new doctor should be a woman. Shortlists were drawn up in the media of actors who could be suited to the role. As the Doctors change, the show's creators also keep a sharp eye on television trends, Scott said. Jon Pertwee, the Third Doctor, took on the role in the 1970s and played a James Bond-like persona in keeping with the popular film franchise of the time. The 2005 show, which is still on the air today, was conceived after the creators looked at the popularity of sci-fi/fantasy episodes in the 1990s, such as "Buffy the Vampire Slayer," "Lois & Clark: The New Adventures of Superman" and "The X-Files." "The show is a show that takes everything and nothing seriously at the same time, and I think that's what has made it so appealing on British television for so long," Burk, an Ottawa, Canada-based writer who most recently wrote "The Doctors Are In" (ECW Press, 2015), told Space.com. Time travel is a popular feature in today's series. 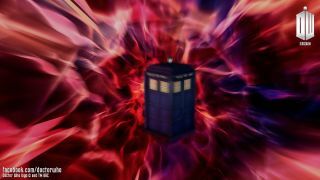 The characters accomplish this feat with a device called a TARDIS (Time And Relative Dimension In Space). Disguised as a police phone booth, the TARDIS is famously bigger on the inside than the outside, and allows the characters to go almost anywhere. Used only occasionally for decades, it became prominent in the 2005 iteration of the show, Burk said. "It really changed with the modern series. You can tell it's been written by a generation of fans who have grown up with 'Doctor Who' and pondered the realities of time travel," he added, saying it opens up interesting philosophical plot points. A recent episode has the Doctor travelling to see the creator of the Daleks — one of the Doctor's main foes — when the creator was a child. Scott said that the Doctor has taken a darker turn these days, but families are still watching because children love to be scared. The current trend of airing two-episode cliff-hangers is a throwback to earlier iterations of "Doctor Who," he said, adding that he expects this trend to continue. "That's what 'Doctor Who' was all about," Scott said. "At the end of the episode, how is the Doctor going to get out of that one?"